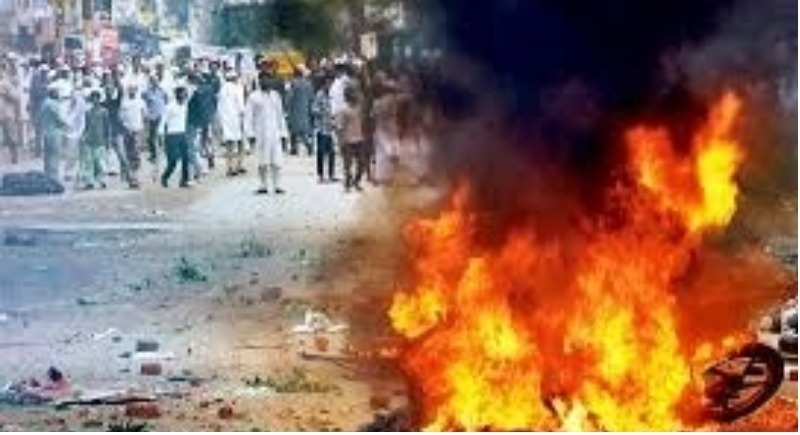 New Delhi, July 26: As many as 111 people were killed in 822 incidents of communal violence in the country last year. This was said by Minister of State for Home Affairs Hansraj Ahir on Wednesday. In a written reply to Rajya Sabha, Minister Hansraj Ahir said that 111 people were killed in 822 incidents of communal violence in the country in the year 2017. He further stated that 86 people were killed in 703 incidents of communal violence in 2016 and 97 people lost their lives in 751 such incidents in 2015. “The Home Affairs Ministry have, however, issued an advisory to the States and UTs, from time to time, to maintain law and order and ensure that any person who takes law into his/her own hand is punished promptly as per law,” he added. “In order to maintain communal harmony in the country, the Centre assists state governments in a variety of ways like sharing of intelligence, sending alert messages and advisories from time to time on important developments,” Hansraj Ahir concluded.